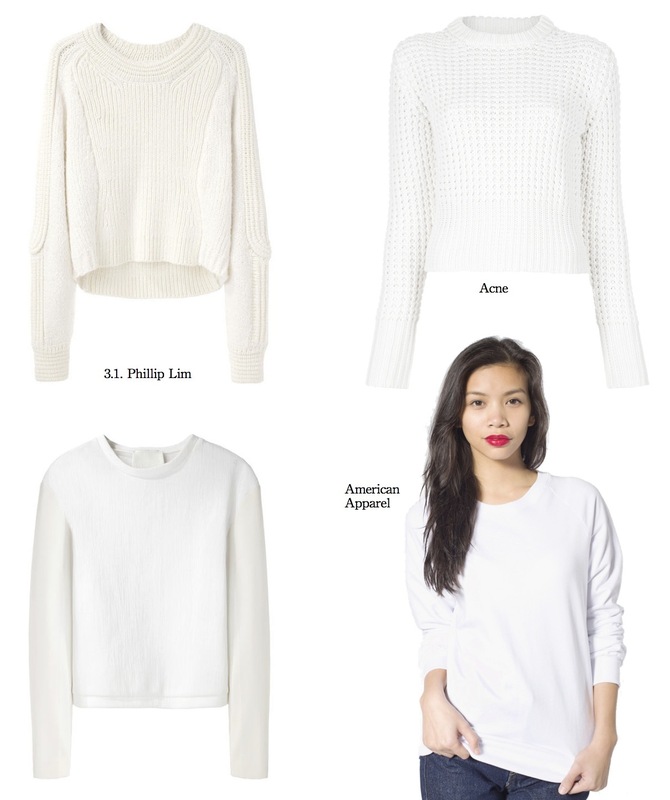 For me the item of the hour: The white sweater. Wether it’s clean cut, chunky knit, cropped or classic as seen on Ivania Carpio from Love Aesthetics – considering my budget I would go for the latter version from American Apparel. Maybe it’s because of the snow that has been constantly covering the streets of Amsterdam for the last couple of days, but white in winter is just such a beautiful combo.